There has been an ink disaster recently. My duvet cover has been stained with a big blue patch from ink leakage. *sigh* Don’t ask me how ink got anywhere near my bed. It is a long story. What I learnt from this incident is to soak the fabric in milk for about three hours and hand scrub the stain. It works! Some of the lighter stains disappeared and some got lighter so I am about to repeat the process until my duvet cover looks like new. It seems milk not only makes wonders to a cup of hot chocolate or coffee, it removes ink stain as well!! Handy. After a long session of hand scrubbing those evil blue stains, I had about half a litre of milk left so instead of making more frothed milk for my favourite hot chocolate, some crepe will make me happy. 1. Melt the butter and let cool slightly. 2. Break the eggs into the bowl of flour and mix. 3. Whisk in the salt, milk and water until lump free. 4. Stir in melted butter at the end. 5. Heat a crepe pan with some butter and wipe it off with a kitchen towel. 6. Ladle about 3 tablespoon of batter onto pan and quickly swirl around the pan to form a thin layer. 7. Cook for about 1 minute one side until golden, flip and cook for 30 seconds. 8. Repeat for the rest of the batter. 9. Squeeze some lemon and dust a generous amount of powdered sugar / sprinkle with sugar on top. 10. Garnish with a slice of candied lemon. 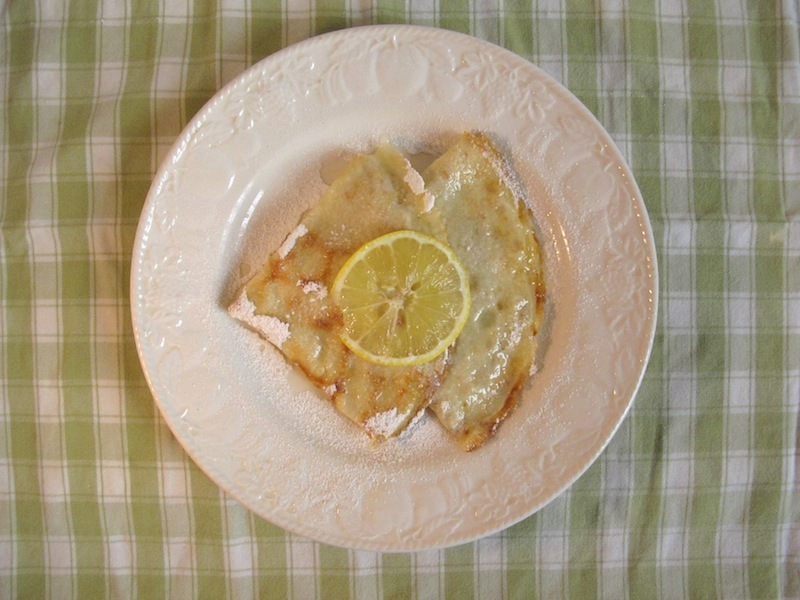 For a sweet crepe, add a tablespoon of sugar to the batter. The basic crepe can be served sweet or savoury, to your liking.